Just as blood runs through our veins, there is also energy circulating through pathways in the body called meridians. This energy can be compared to the wind. Just like the wind, it can’t be seen but it has the ability to send a kite soaring. A major function of this energy is to push toxins out of the body. Toxins build up in our bodies from medications, poor food choices, impurities in the air, lack of exercise, stress, and a number of other environmental and lifestyle factors. Fewer toxins mean less pain, less illness and fewer unpleasant symptoms. Stimulating the acupuncture points can influence your energy channels; the acupuncture needles help to balance the energy. A more scientific explanation of acupuncture is that the stimulation of specific trigger points on the body by acupuncture needles prompts the body to release certain hormones and chemicals that can reduce pain, regulate the endocrine system, and calm the nervous system. Acupuncture points are areas of designated electrical sensitivity. Inserting needles at these points stimulates corresponding receptors in the body. The substances released as a result of acupuncture not only relax the whole body, they regulate serotonin which plays a role in our moods. 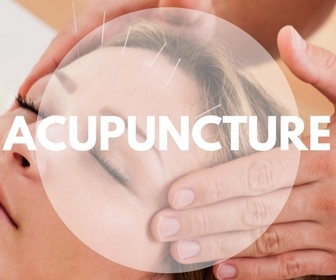 Relief from pain, circulation improvement, decrease in stress and anxiety, improved breathing, a strengthened immune system, and fewer symptoms of disease or illness are some of the benefits of acupuncture.